At this point in the trip, we met up with our best friends and departed Paris early Thursday morning via high speed train to Avignon. 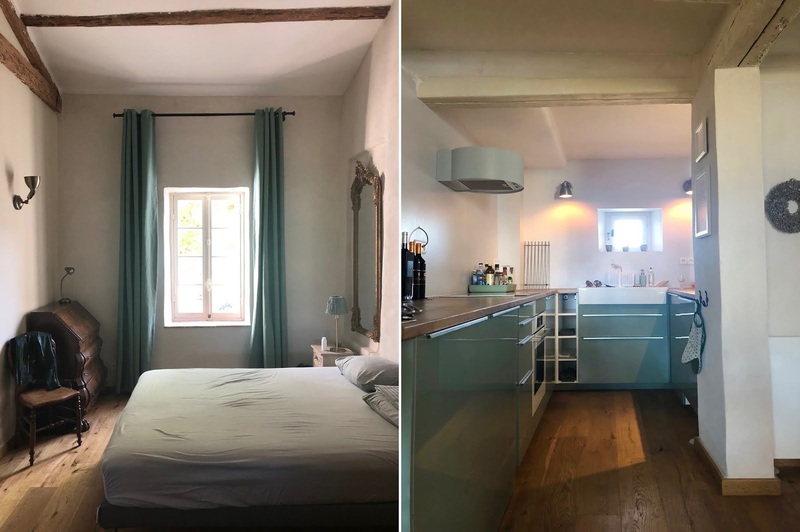 From Avignon, we rented a car and drove an hour to the area of Saint-Paul-Trois-Châteaux, where the wedding festivities were being held, and to the neighboring town of Tulette, where our Airbnb was located. 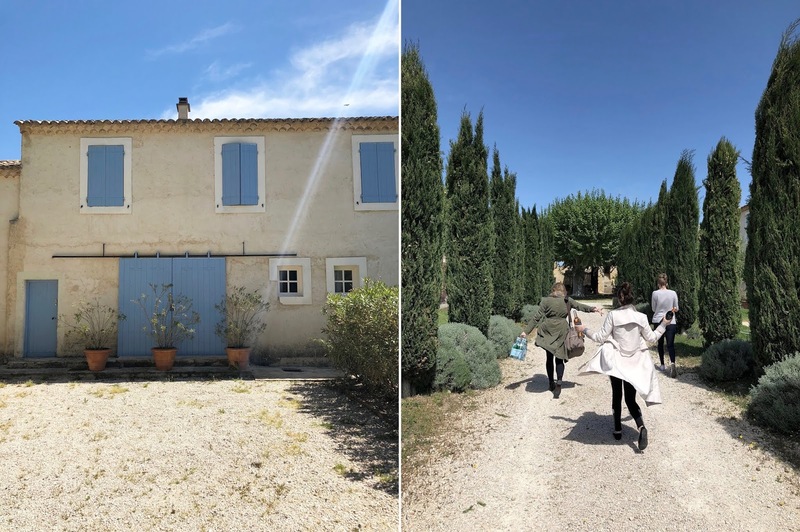 On the way to our rental house, we were sure to stop off at the local grocery store to pick up copious amounts of bread, cheese, fresh fruit and local rosé (which we quickly nicknamed Provence water due to how much we were drinking it 😉). Our Airbnb was the most idyllic homestead for our long weekend! It was a beautifully renovated farmhouse in a complex of other similar homes. 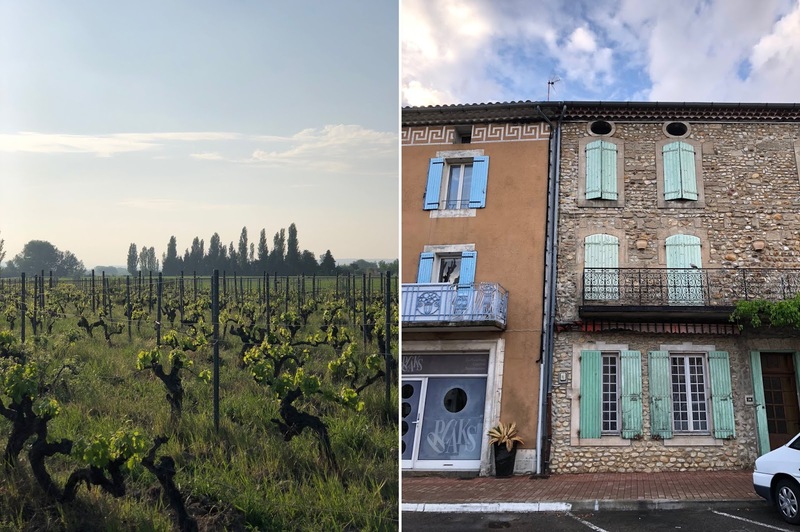 From the lovely periwinkle shutters, to the blossoming courtyard (where these photos were taken), to the sweet French neighbors, to the huge pool, we were in provincial paradise. I highly recommend a stay there if you ever find yourself in the area! Here is a link to it. Please note that it's in a remote location so it was a little tricky to get to at first, but once there, you won't need to leave! 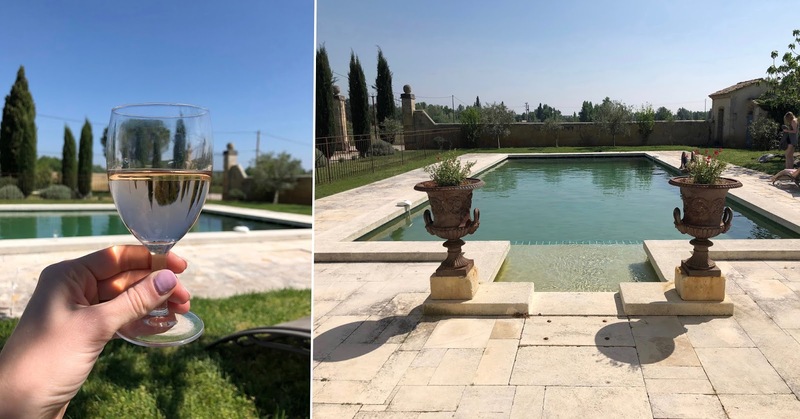 The wedding festivities of the day entailed an afternoon wine tasting at a local vineyard and a welcome dinner in the evening on the wedding grounds, Les Domaines de Patras (I'll share more photos of the gorgeous venue in my next post). 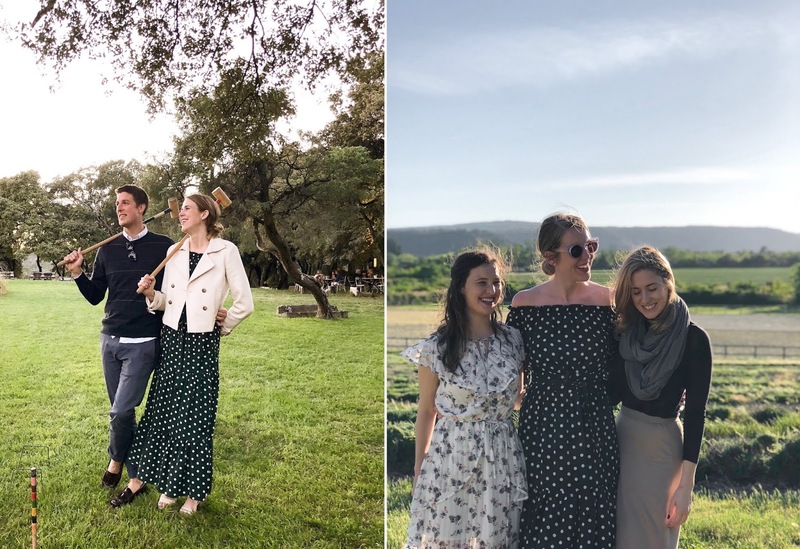 I wore this off-the-shoulder polka dot dress for the occasion and it was perfect. 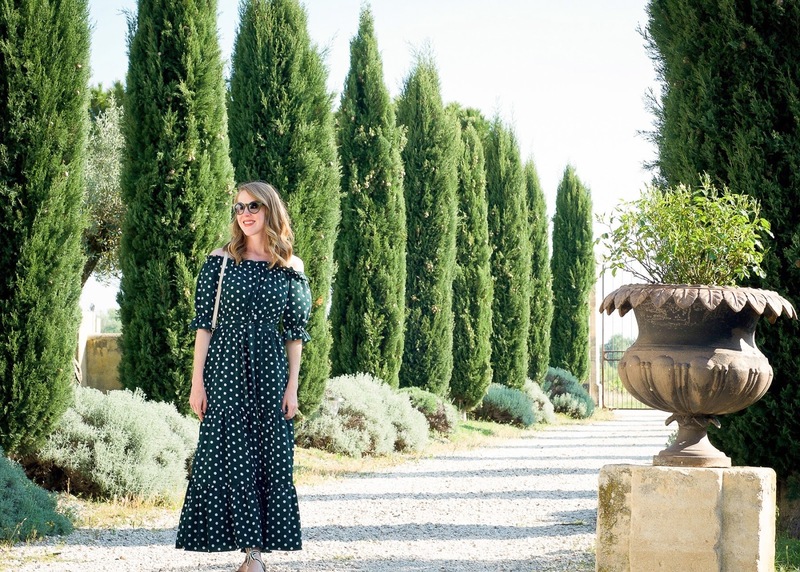 Nothing quite like a flowy polka dot dress to bring out the 'vacationing in the south of France' vibes. I've linked a few other favorites here, here, here and here, as well as at the top of the post!